Three-dimensional is a tricky term to apply to crochet. I guess one could argue that any garment is three-dimensional. But crochet is capable of so much more than that. Crochet, with its flowing stitches and easy increasing, is one of the simplest ways to create three-dimensional structures. What other craft could you rely on to re-create the coral reef and hyperbolic geometry? If you’re excited to see the dimensionality made possible with crochet, you’ll want to try these three projects from Interweave Crochet Spring 2019. 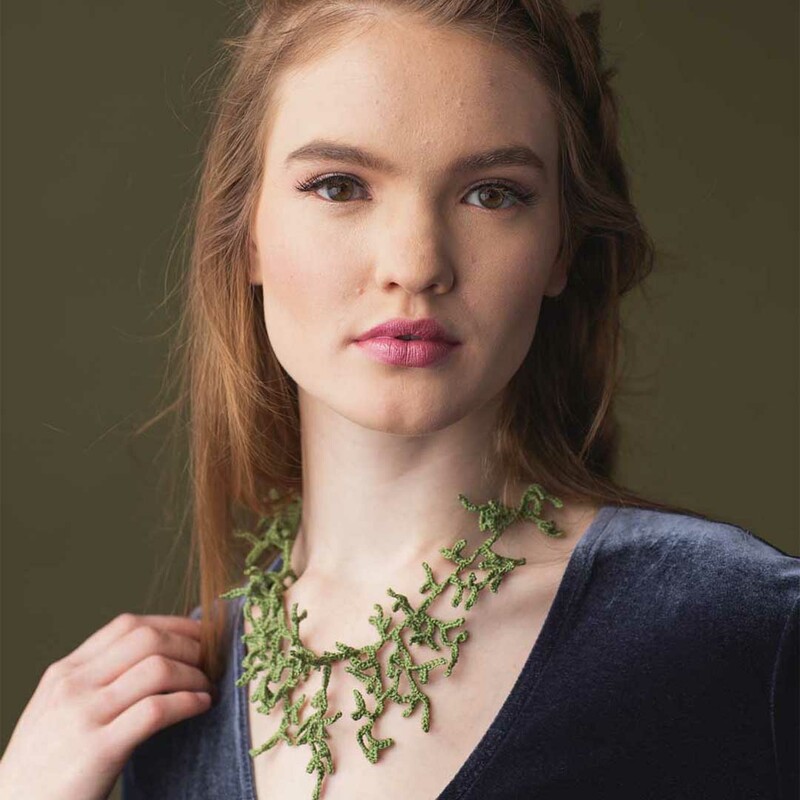 The Seagrass Necklace is like your own mini-coral reef attached to a necklace. The necklace is composed of a structured semicircle used as a base. Varying shapes of coral, sea stars, and urchins are then attached to the semicircle to create a dimensional, textured seascape accessory. The Kelp Necklace also features dimensionality. The necklace is made of many leafy tendrils that dangle from the necklace in a multitude of ways. Read up on the Julie H. Rose Q&A included in the issue to learn how she creates dimensional art in shadowboxes and the materials you can add to this necklace to give it more structure and shape. 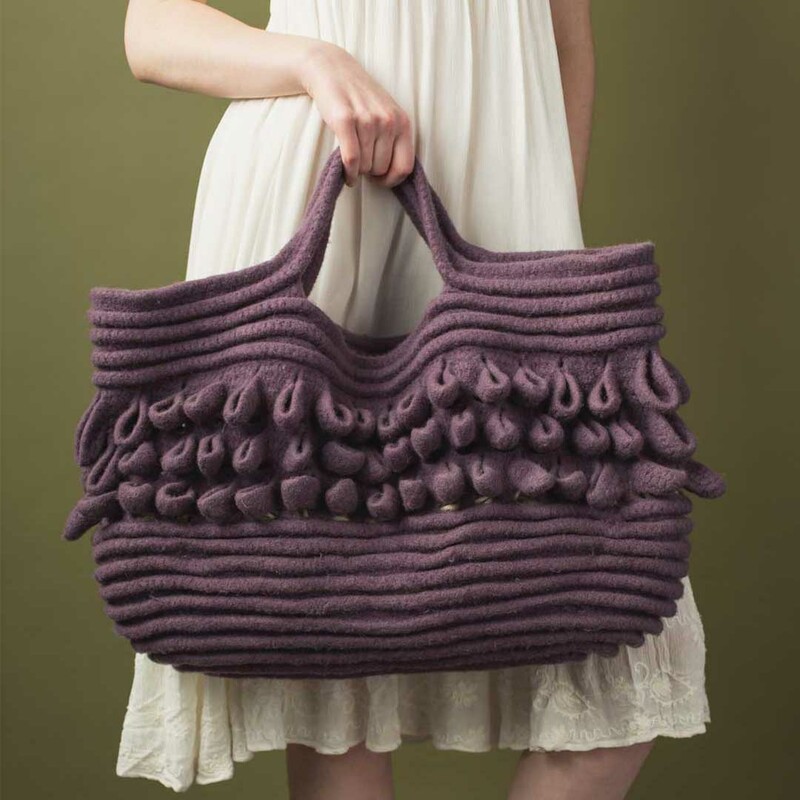 This crochet tote bag includes structured loops around the center of the bag. The loops are added to the bag as you crochet in the round by adding extra chain stitches and then work increases in the chain stitches before returning to the bag pattern in the round. The structured loops get extra shape after felting the bag in the washing machine. 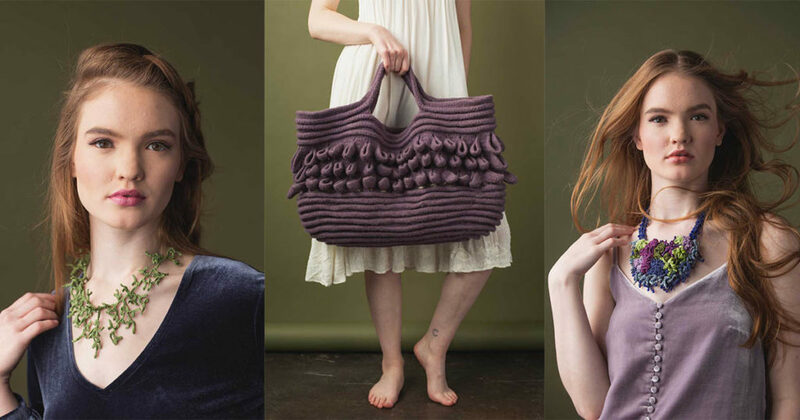 In the latest issue, read about the felting technique used to make this bag extra-dimensional. Find these 3D- and coral-inspired projects in the newest issue, Interweave Crochet Spring 2019. Which project are you most excited to make first?